Loyalty programs are a creative way to get the attention needed in today's very competitive market. These programs keep customers returning and use word of mouth marketing to increase your customer base. WOM or 'word of mouth marketing' is an essential way to increase business. Rewards program customers are more likely to recommend your business to another. Some examples of this type of rewards and loyalty program are currently being seen in the banking system. One example in the banking system: Customers that sign up for a new account receive twenty five dollars and the person who recommends them receives twenty five dollars. The bank is then able to offer this new customer so many additional services such as home loans, savings accounts, auto loans and so much more. The fifty dollar investment will reap much more in the years ahead as they service the banking needs of the new customer. There are many businesses that offer rewards cards that include saving certificates that are sent to the home after spending money in the store. Other incentives include vouchers for previous customers with an additional voucher for a friend. 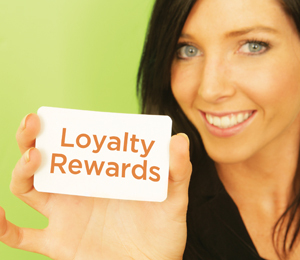 Loyalty programs bring in customers without the expense of media advertising. This marketing strategy is a great way to advance the customer base of a business and to save money. Customer loyalty programs save marketing money as it costs up to ten times more to gain a new customer than it does to keep a customer by using a loyalty program. There are many creative ways to encourage customers to return for more. Satisfied customers are more likely to recommend your services and products to another. WOM, Word of Mouth Marketing, is the most cost effective marketing available. For more great ideas on customer loyalty programs consider hiring a personal business coach. The coach will assist you in establishing a credible, easy to use loyalty program that will work for your business or product. Brisbane Business Coaching offers innovative solutions to businesses that are looking for creative customer loyalty programs. The use of business coaches makes the preparation and implementation of customer loyalty programs a hell of a lot easier. Brian is considered the 'guru' of low cost no cost marketing he has conducted literally 100's of consultations giving advise to a broad range of business types within Australia and overseas. He has presented at seminars and workshops with his 'tell it as it is' style while making the information enjoyable and extremely practical.